A crown is a tooth-shaped cap which fits over a natural tooth. Once the crown is in place you will not be able to see any of your natural tooth structure as it will completely seal the tooth, preventing infection and further decay while restoring its function. To strengthen a tooth that has been weakened by decay or which has a large filling. To protect a tooth that is worn down, cracked or fractured. To improve the overall shape, shade or alignment of a tooth. If you have had root canal therapy. We take a great deal of care to make sure each crown is individually designed and it will be custom-made by our highly experienced dental technician to create a healthy, natural look, restoring the function of your tooth and your smile. Crowns can be made from a number of different materials. These include precious metal alloy that is highly polished and this can be a good option if you have a back tooth where your bite is particularly heavy. This is because gold is softer than tooth enamel which will be kinder to your opposing teeth. 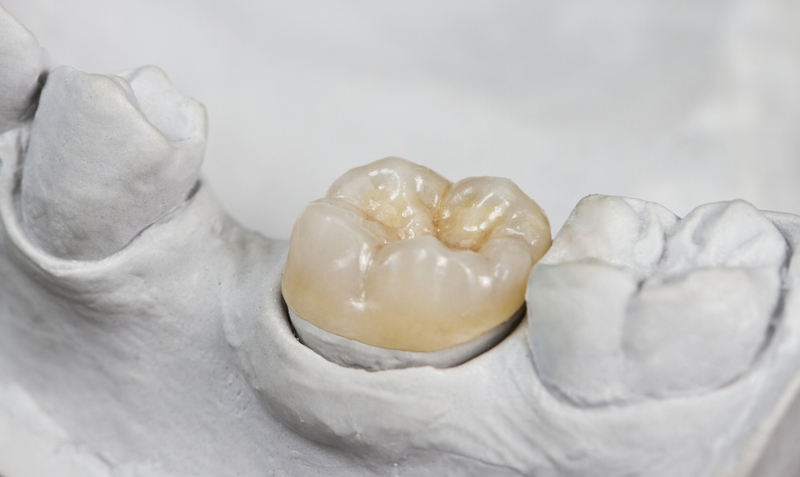 Alternatively your crown may have a precious metal substructure that is covered up with porcelain and this option is called a porcelain fused to metal crown or a PFM. 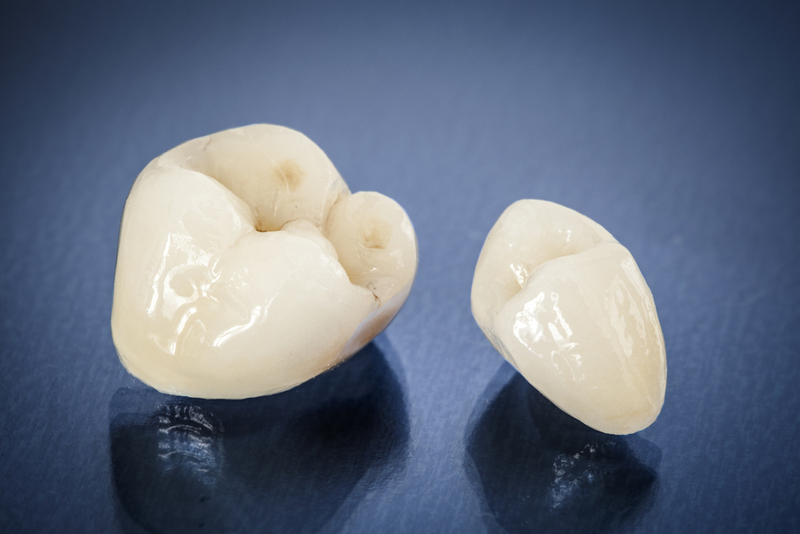 Sometimes crowns will be made from composite resin but these tend to only be a temporary option. The most advanced crowns are made from the latest ceramics and are entirely metal free. These can be an excellent choice if you are interested in achieving the very best aesthetics, for example when replacing a front tooth. Generally, you will need to come and see us for two appointments. The first appointment is to prepare your tooth and to take an impression, while the second appointment will be to fit your crown. Our dentist will then carefully reshape shape your tooth, removing any damage or decay and ensuring there is plenty of room for your crown to be constructed. Once your tooth has been prepared, a highly detailed impression (mould) is taken of your teeth using special silicon-based impression material in a mouth tray. The tray is placed over your teeth and is left to set for several minutes before being removed. We will also take an impression of your opposing teeth as our dental laboratory will need to see how your teeth bite together. Our dentist will fabricate a temporary crown to protect your prepared tooth and to ensure you can smile and talk while your new crown is being made. It takes between two and three weeks for our dental laboratory to make your crown which can be fitted at your next appointment. A local anaesthetic may be required to numb your tooth but this isn’t always necessary. 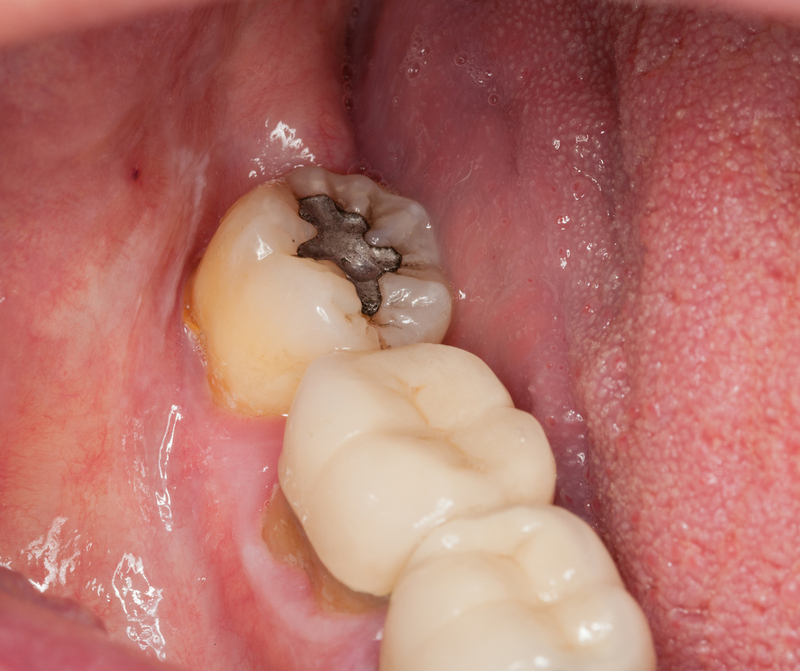 Your temporary crown will be removed and all the temporary cement cleaned away from the tooth. Our dentist will then try in your new crown, making sure that it fits correctly and that you are happy with the appearance. At this stage we can make any minor adjustments to the crown until it fits perfectly. Your crown is then permanently cemented in place and we will check your bite.